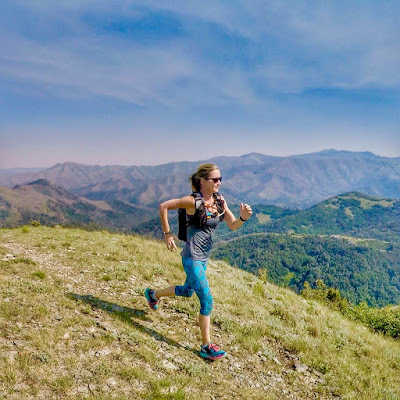 We are a family of hikers and I am an endurance athlete who loves running trails. 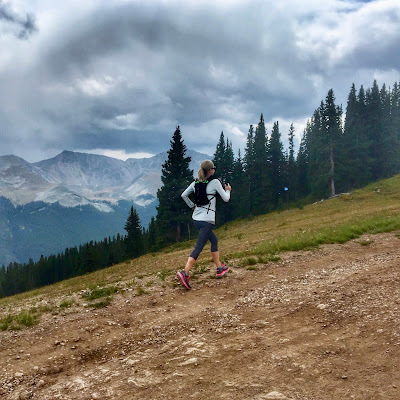 I used my Orange Mud packs training for Ironman and I am training for my first Ultra in February. I am by no means an expert, but I get asked often about my Orange Mud packs. So I thought I'd give you a little review on each of the packs I have. There are more reviews on the Orange Mud site, so be sure to read those as well. I've included stock photos and personal photos to help. There are so many great packs, I hope this helps you find the right one for you. Be sure to use the code AB151-104 for 10% off and save yourself some $$$! The handheld is really great for those short runs or track workouts or even just on the go. It has a pocket for your phone, gels, keys, etc. It holds a 21 ounce bottle. It's very comfortable to carry. 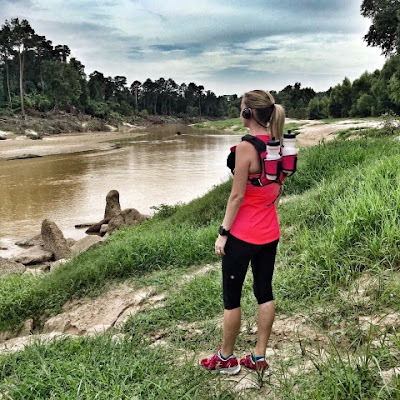 I personally don't love carrying anything when I run so I never take this on long runs. But it's great for a grab and go for me! I love a good sling bag and this one is super nice. It's very well made. Lots of sling bags are super thin. This one is really durable and good quality. It has an interior pocket so no digging for keys. It also has three front pouches which are great! I use the center one to hold my drink. It holds a water bottle perfectly! My Hydraquiver Vest Pack 1 gets a lot of use. It is so hot and humid here in Houston I even take it on my shorter runs. It's super important to get the fit right when you're wearing it. I have read some people have issues with chafing under the arms. I have not had this problem. 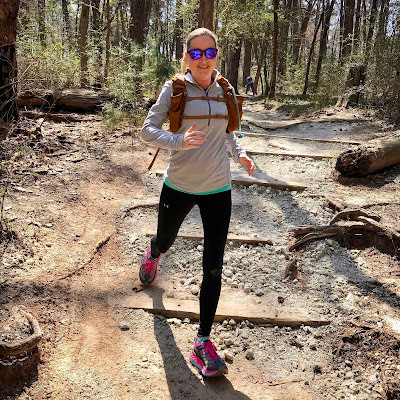 Orange Mud has a video on the proper way to wear your vest and it is super helpful. It holds a 25 ounce bottle. It has two shoulder accessory pockets and two chest pockets to hold gels or your phone. I also use it to carry my GoPro. 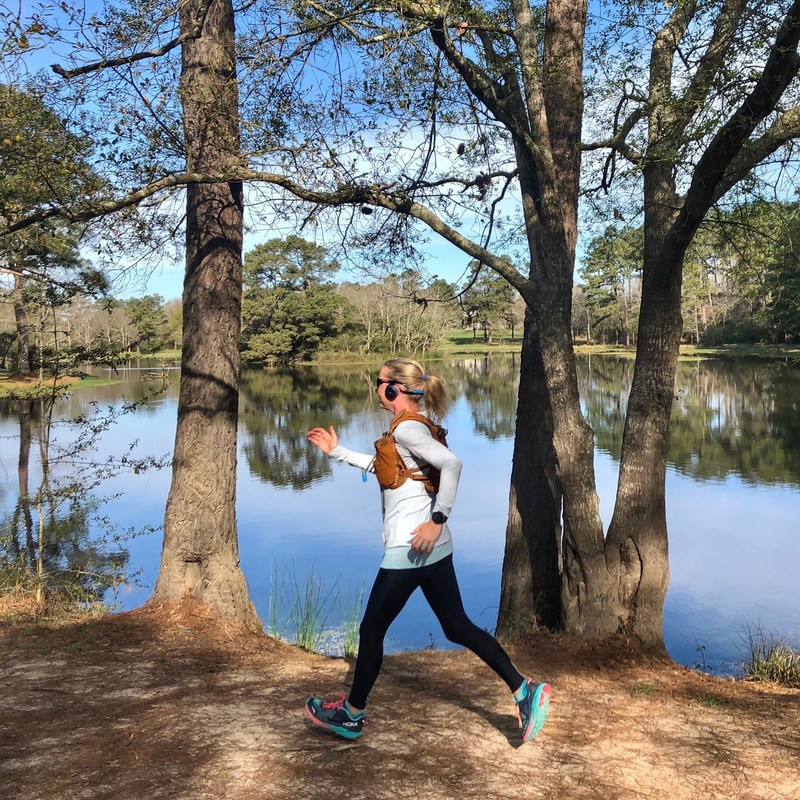 I don't have movement from the vest or sloshing when I'm running and that is important to me. My only problem with the single barrel is my ponytail. I can't braid my own hair, so sometimes my ponytail gets in the way. It doesn't stop me from using it, but I want to give full disclosure. Just another reason I need to learn to braid my own hair. But I have 4 boys, so I doubt that's ever going to happen. Ha! 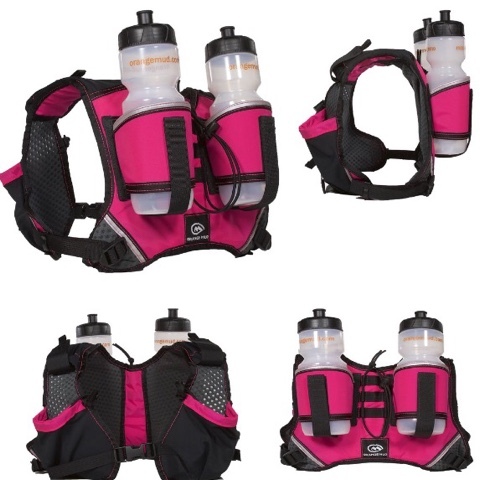 The Hydraquiver Vest Pack 2 is another one you'll see me wearing a lot. 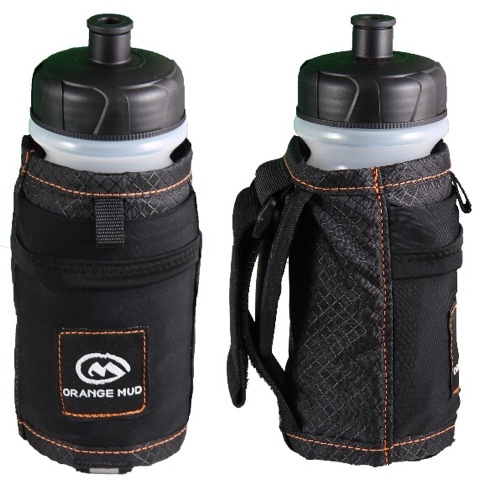 It is the same footprint as the Vest Pack 1, but holds two 25 ounce water bottles. It has the two chest pockets and two shoulder pockets. Great for carrying everything you need. I wear this on the majority of my runs and while hiking with the family. There is no bounce and it is very light. Again proper fit is very important, so watch the video Orange Mud provides. I find this pack very comfortable and convenient. And the pony tail issue is resolved. 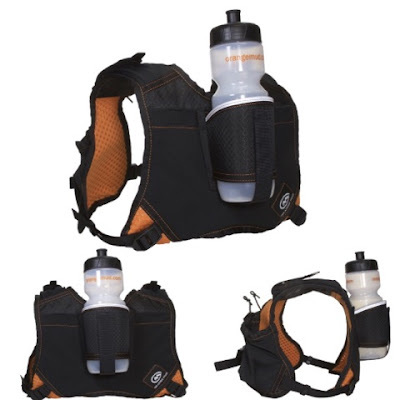 I love both vest packs because they are water bottles and so easy and convenient to throw in the dishwasher to get clean. 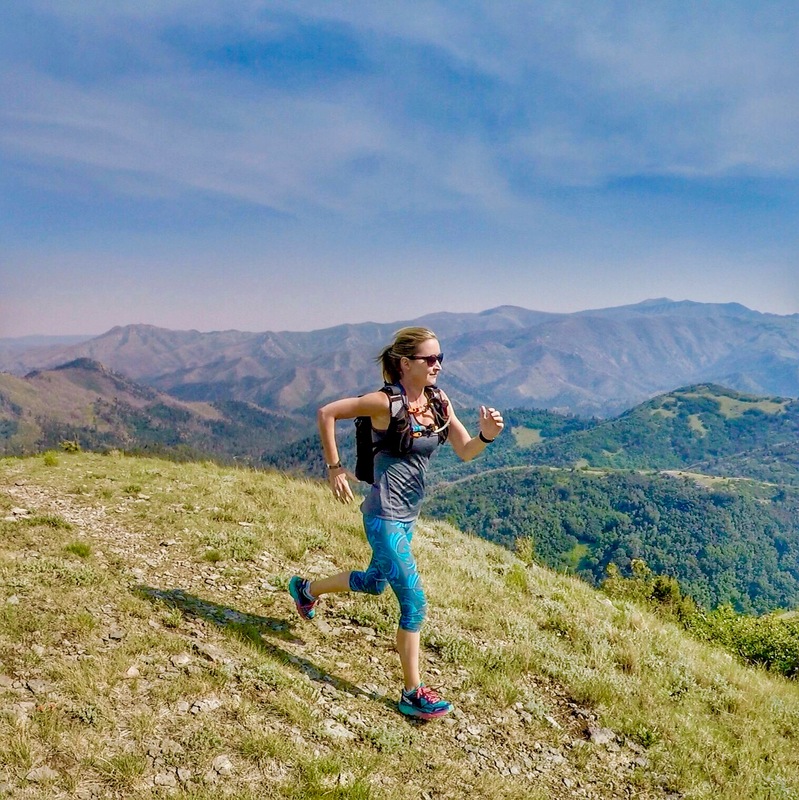 This is great for both road and trail running! The Endurance Pack Version 1.0 is perfect for running or biking any distance. It weighs only 11.4oz. It holds a 2L bladder. It has 3 compartments - the bladder compartment, main cargo, and a zippered elastic pocket with a key clip. It is stretchy and fits perfectly to your body. I notice when I run with it there is no movement which is very important to me. 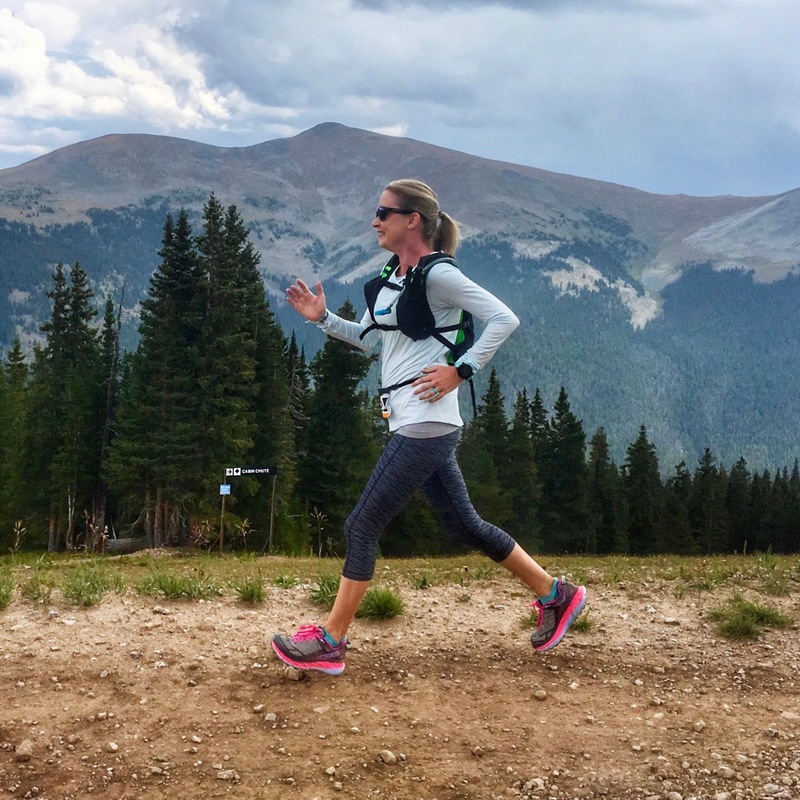 I have never experienced chafing from this pack. It is light. It is easy. Also it is the best fitting pack I have found for my kiddos to wear if you are looking for a pack for a kid or young adult. The difference between version 1 and version 2 of the Endurance pack includes a longer chest harness, additional trash pockets, adjustable sternum sliders, and taller chest pockets for 450ml/600ml soft flasks. Oh and don't forget this NEW color Coyote Brown which I am loving! It is the same weight and has the same compartments as version 1. I say this about every pack I know but this may be my new favorite! The larger pockets give more carrying space but without all the extra room of the Adventure Pack. 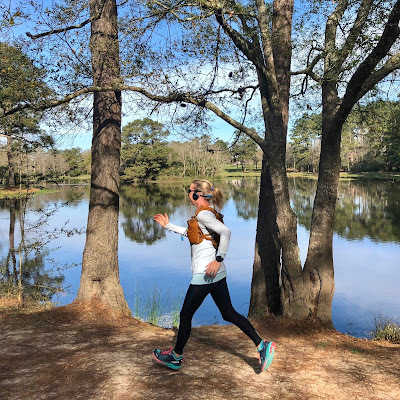 It is light and comfortable and can be used for any distance of running and biking! 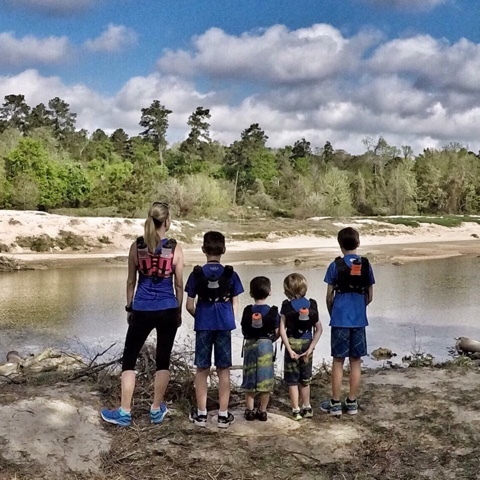 The Adventure Pack has become my go to pack for long family hikes because it is a backpack and I can carry more gear and snacks for the kids. I was initially hesitant because it is has a bladder and I have never been a fan of bladders. But the Orange Mud bladder is so great. 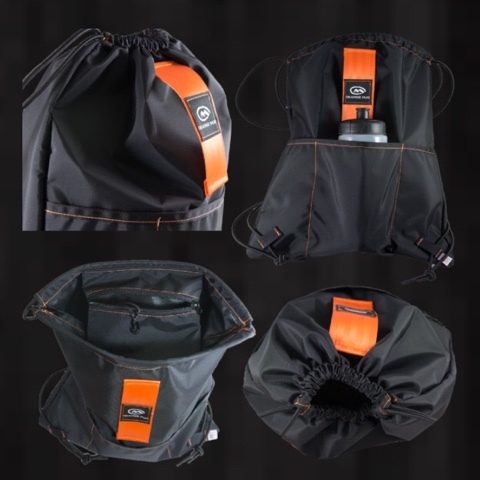 The top opens completely with a fold and slide system that makes it very easy to fill and super easy to clean. 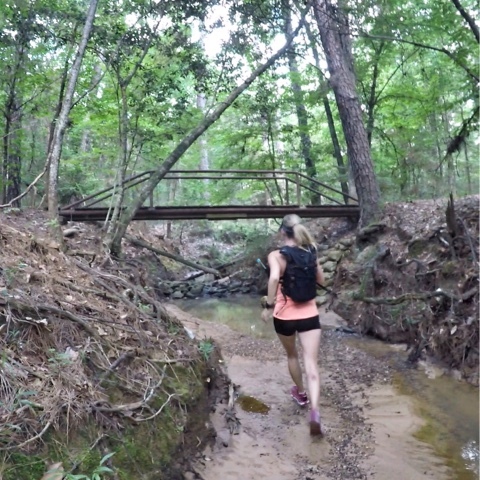 And this pack is awesome for my long runs as well. The bladder it comes with is 2L but it can even fit up to 3L. I also have the flasks listed below that hold 15 ounces each and fit in the front pockets of the vest for extra hydration. I typically put water in the bladder and an endurance drink in the flasks. You can carry trekking poles using the nylon cords on the back. I have folding poles and they fit perfectly inside the bag. This pack is extremely comfortable and it amazed me how light it felt even when I had it packed to the brim and filled with fluids. I am excited to use this pack for ultra training. 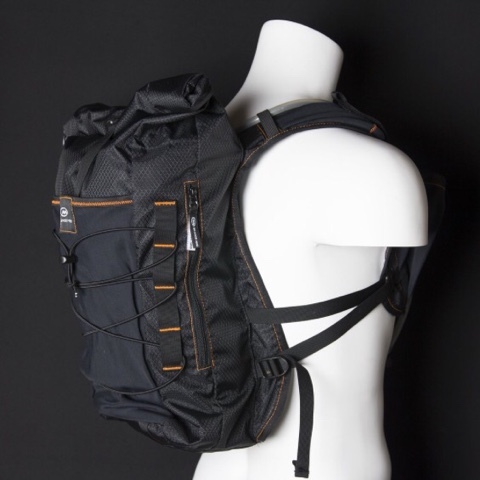 This pack is the 12L. 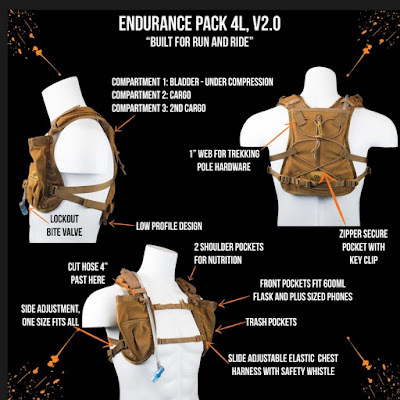 The 20L pack has the same footprint, chest harness, and materials. So you have options for sizes. The 12L is perfect for me. **Update - I used this pack during my 50 mile Ultra and I loved it! I had all the fluids and nutrition I needed. Plus the weather changed several times throughout the day with temperature and precipitation and I had a place to hold my layers. I may have even been overly prepared, but there wasn't anything I needed out there! 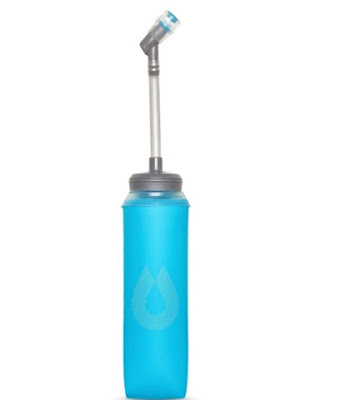 These are great for extra hydration!! I hope you find my reviews helpful. 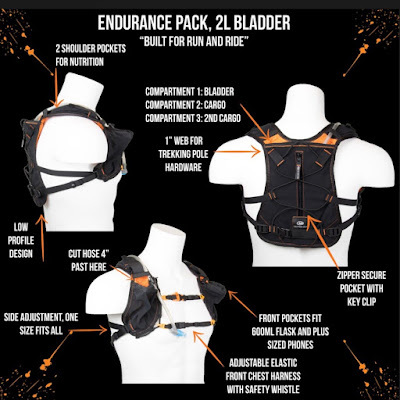 If you have any questions feel free to ask me, but also be sure to check out the Orange Mud website at www.orangemud.com for more information, reviews, and helpful videos. I also want to mention that Orange Mud has some of the best customer service and quality products there are. They are great to work with for any questions or concerns about their products. Use discount code AB151-104. Great review! 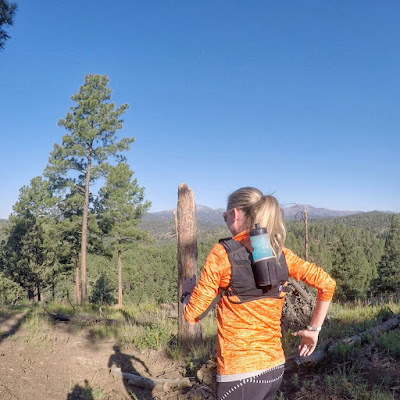 I love my handheld, single, double barrel and endurance pack! 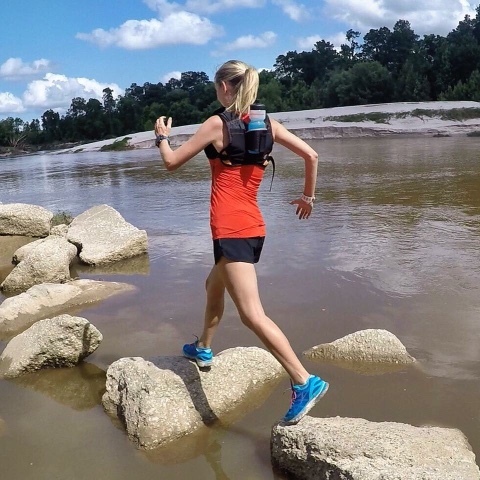 Excited to see how the Aventure Pack with the hydraflasks works for you during ultra training! You've definitely got everything you could want to be successful on the trails!!! I will have to give the handheld a try! Thanks for sharing different bag backs which are ideal for hiking. I will surely consider all these when ever I go to any mountainous area for hiking.